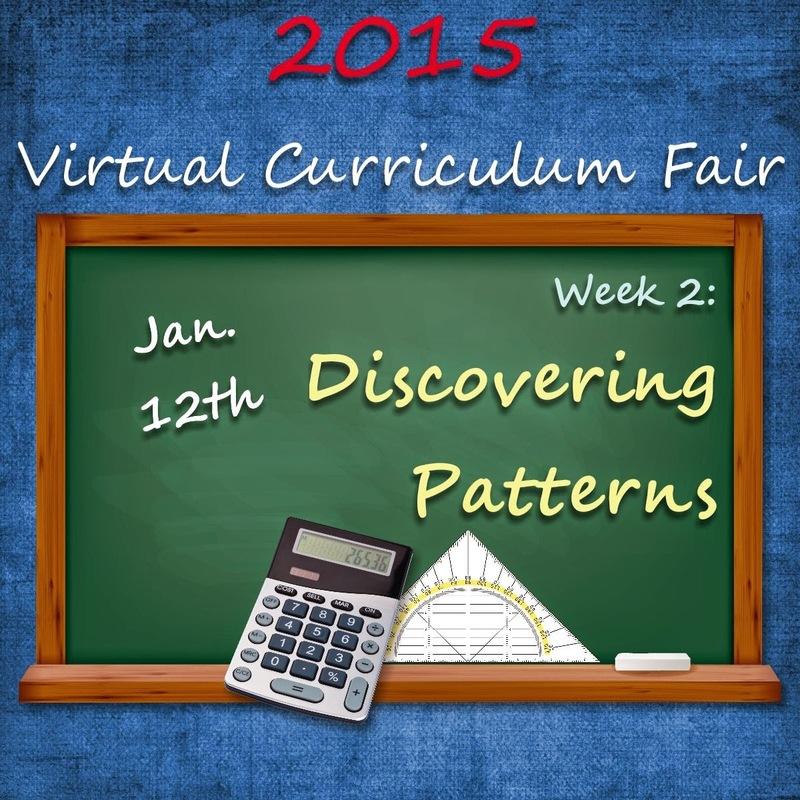 I'm attempting to participate in the Virtual Curriculum Fair again this year, but wow, everything seems so challenging this year. This week, the topic is Discovering Patterns, or discussion of things like math, science, and logic. This is hosted by Susan @ Homeschooling Hearts & Minds, and co-hosted this week by Laura @ Day by Day in Our World. I usually choose to talk about math, but this year I thought I'd focus on science. Because that is one of those totally intimidating things, and one of the first objections people always threw at me back when Connor was five and they learned I was going to homeschool kindergarten: "But how will you teach high school chemistry?" Or you can take a live class online, through Apologia, Red Wagon Tutorials, Virtual Homeschool Group, or about a million other places. You can do an online course that isn't "live" such as Fascinating Education, Plato Education, Thinkwell (again, to stick with things we have used). You can join a homeschool co-op, where someone else will teach your kids a science class, or will do the labs as a group, and you can focus on teaching a class in a topic where you know what you are doing. We haven't tried this. You can often do a community college route. We haven't done this. Yet. You can pull together your own thing. And there are other choices too, like DVD-based courses (Biology 101, Chemistry 101) and others that just aren't even occurring to me at the moment. We're planning a pretty science-heavy year. All three teens have just finished up some introductory electronics work, with Applied Inspirations. I'll link to my review for this soon. We're giving 1/2 credit for this work, but we haven't yet decided if we are going to go on to make this part of a full-credit electronics course, or if we're stopping here. They have been doing chemistry, using Fascinating Education online, only we opted to skip the labs in that. Because we are about to start using a very lab-intensive set. 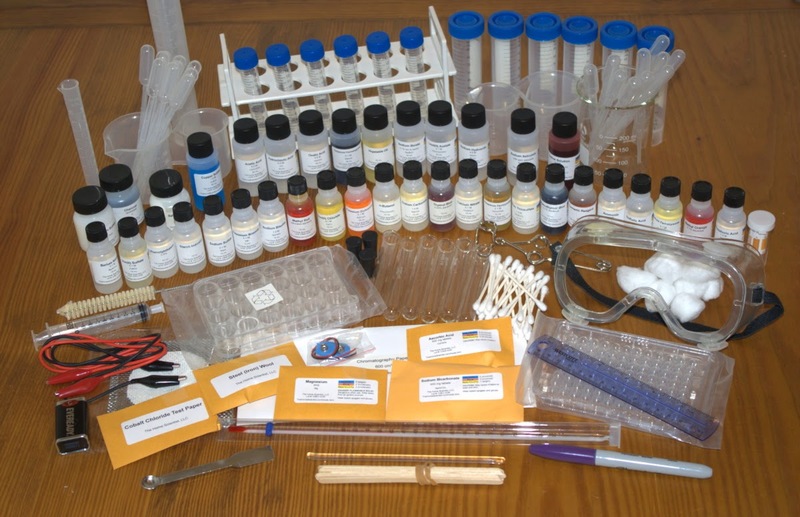 The Home Scientist has a kit, CK01, and we're thrilled to be working with that. This is going to give them a full-year of Honors Chemistry. Just look at all that amazing stuff!! We've also been working through some materials from Master Books, specifically their Survey of Astronomy. Told you. Science-heavy right now. What plans do we have going forward? In the fall, I'll have three high school students. The main plan for Connor is for him to do a calculus-based physics course. Possibly at the community college. William and Thomas will do biology together, using Science Shepherd Biology, which I really love, as you can see in my review for The Old Schoolhouse. William has already worked through part of the course, but we are going to start over, and have the two of them working together. We're also talking about getting the Forensic Science kit from The Home Scientist, and having all three of them work on that. Past that? I'll chat with Thomas and William to see what else interests them. I would like them all to end up with at least 3 science credits -- biology, chemistry, and physics. But there are so many amazing other things too. William loves geology, so I'll probably work with some of the Master Books materials to get him a full credit of geology somewhere in there. There are so many amazing resources out there now, and not all require a whole lot of scientific knowledge on the part of Mom. What are YOUR kids interested in? I bet there is something available! We are currently using a co-op for biology and math classes....I LOVE it. I am not a math & science person & hubby is "too much" of one for our teens, if you know what I mean. We are looking at starting either Chemistry or Physics at home next month for our 16 yr old & I am very interested in the resources you've listed. Thanks for the info!! Homeschooling sure ain't what it used to be. There was a time when a homeschooling high schooler was biting their nails trying to figure out what to do about advanced science courses. Now we are spinning on our heads trying to choose between dozens of awesome learning resources! This is was very helpful to me. Thank you for sharing!